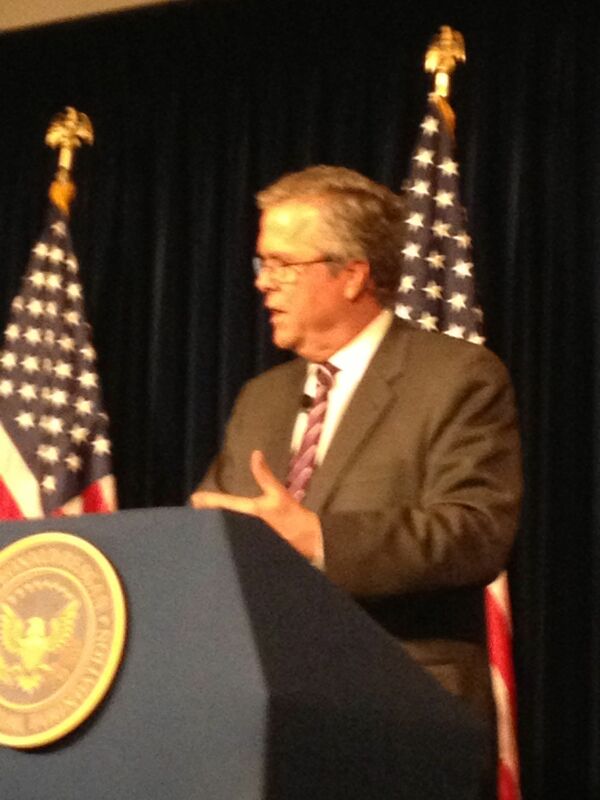 So last Friday I took in Jeb Bush at the Reagan Library, giving a broad-gauged speech about how to revive economic growth through three principal areas: domestic energy production, education reform, and immigration reform, the topic of his new book Immigration Wars co-authored with my old pal Clint Bolick. I didn’t realize that Bush was on a blitz that would place him on most of the weekend talk shows. His speech, and informal comments at a small luncheon afterwards, sounded like the speech of someone who is pondering becoming a candidate for president. Now, I think Jeb Bush was a superb governor of Florida, and on paper is clearly a strong candidate. But there is that little problem with his last name, which people rightly or wrongly associate with recent bad memories, not to mention an aversion to political dynasties that run against American republicanism (Kennedys excepted, of course). But some of Bush’s deliberately moderate language (and open criticisms of Republicans in Washington) in this and other recent speeches made me realize his strategy: if you close your eyes and just listen to the words, it becomes clear that Bush might try to run for president as . . . Jon Huntsman. I’m not sure this is a promising strategy.